This essay is intended as a contribution to the sociological understanding of these phenomena. To that end, it proceeds by reversing the perspective taken by the existing literature, in that the explanation for multiple murders is sought not in the murderer himself, his insanity or his childhood traumas, but in his chosen targets : his victims. This change of perspective allows us to understand the political and social dynamic of multiple murders and casts an entirely new light on something which at first glance seems inexplicable apart from the presumed insanity of the killer. For in not taking the victims into consideration, "the sociological core of the act" is excised. 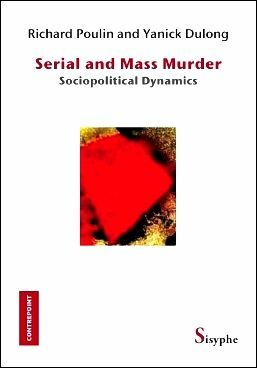 Richard Poulin and Yanick Dulong show the relation between the personal history of the killer, the cultural context, the social structure in which he and his victims evolve. The victims help not only to reveal the deep motives and the actions of the killers, but also the sexist and racist social dynamic underlying such crimes. Yanick Dulong is a PHD student in sociology at the University of Carleton. Richard Poulin is a professor of sociology at the University of Ottawa. Sisyphe, coll. Contrepoint, Montreal, 2009, 128 p.